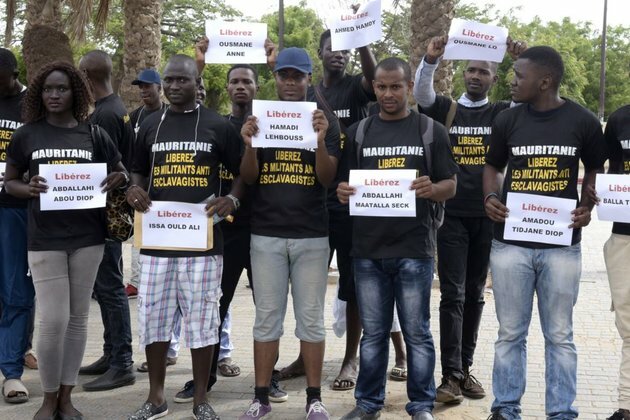 DAKAR, SENEGAL - Mauritanian activists Tuesday praised the United States' decision to end trade benefits over the practice of slavery and called on other states to follow suit with sanctions. "This decision ... is surprising to say the least," said Mauritania's foreign ministry Monday. "This phenomenon (slavery) has disappeared from Mauritanian society and the after-effects of the practice are being eradicated due to ... government policies," the statement said. "Pressuring them (the government) by economic means is very important," said Salimata Lam, national coordinator for the anti-slavery group SOS Esclaves. "If European states followed this path ... a lot of things could change in Mauritania," she told the Thomson Reuters Foundation. "The fact that there is international pressure will push Mauritania to take things seriously," said Moussa Biram, a member of the anti-slavery group the Initiative for the Resurgence of the Abolitionist Movement (IRA). "This is a struggle that Americans understand all too well," said Michael Dodman, the U.S. ambassador to Mauritania. "That is one reason that American law requires my government to take difficult decisions when we assess that a country is not making continual progress towards the protection of human rights," he said in a statement.